These photographs were taken when I visited Sweden for the first time, to speak at the invitation of the Institute of Botany, Stockholm University. On that visit I had the good fortune to be able to make the systematist’s pilgrimage to Uppsala, the home of the great naturalist Linnaeus, and to visit Linnaeus’s Hammarby estate as well as his botanical gardens at Uppsala University (unfortunately not in flower because of the time of the year). All photos below are © R.J. O’Hara. 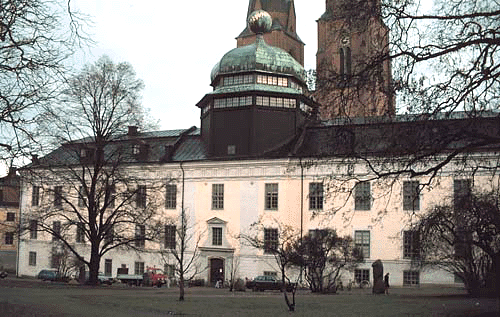 Uppsala University — The Museum Gustavianum at Uppsala University, with the dome of Olof Rudbeck’s seventeenth-century anatomical theater at its center. 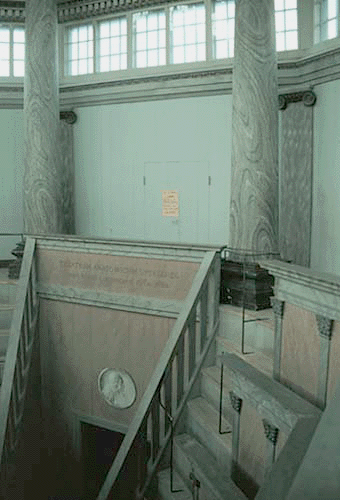 Uppsala University was founded in 1477 and has been home to many famous scholars, including the anatomist Rudbeck, the theologian and mystic Swedenborg, and the great naturalist Linnaeus. Rudbeck’s Anatomical Theater — The interior of the seventeenth-century anatomical theater built by Olof Rudbeck. 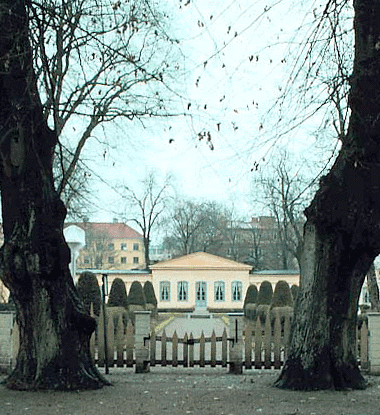 Linnaeus’ Botanical Garden — The Uppsala botanical garden was first established in 1653, and over the centuries it has gone through several periods of growth and decay. The garden of today is an exact reconstruction of the grounds as they were in Linnaeus’ day, restored on the basis of Linnaeus’ own landscape plans. 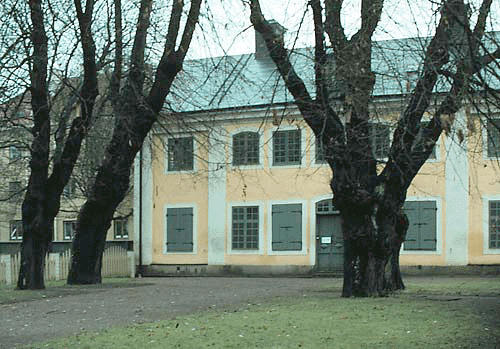 Linnaeus’ Residence — Linnaeus’ residence beside the botanical garden, now a museum. 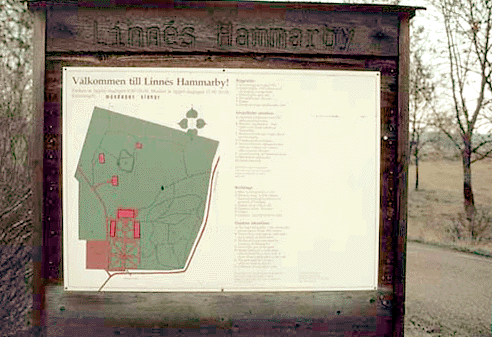 Hammarby Entrance — Hammarby, the country estate of Linnaeus a few miles from Uppsala, is now a museum and historical site. 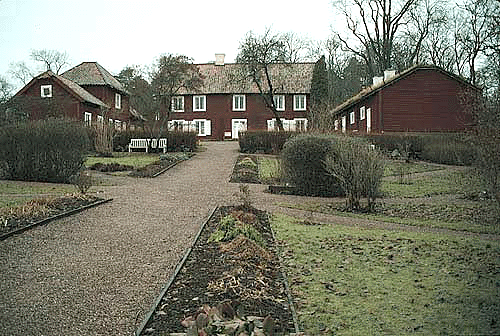 Main Buildings at Hammarby — The main buildings of the Hammarby grounds. 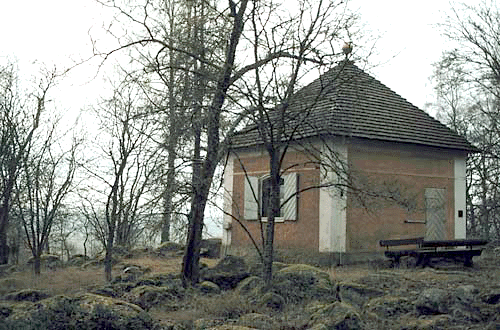 Linnaeus’ Hammarby Museum — Linnaeus built this small fireproof stone building to house the collections he kept at Hammarby.